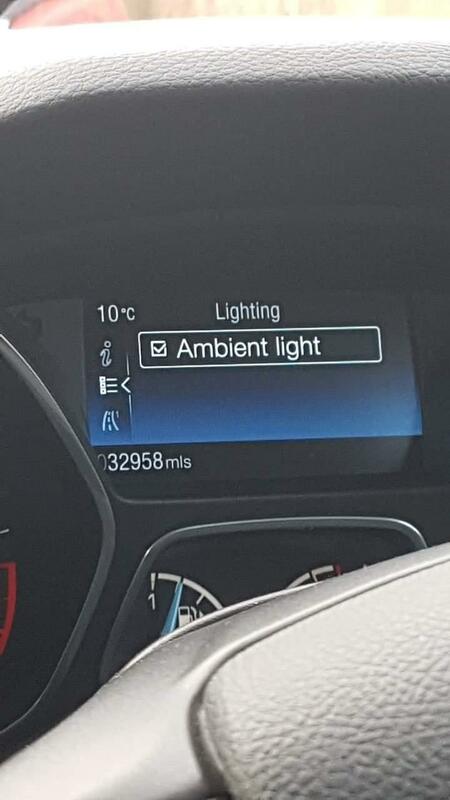 Is there a separate fuse for ambient lighting? The headlights need to be on. Change to auto. And apparently there is a brightness adjustment. On the Focus MK3 the single color Ambient Lights (including the footwell lights) are fully controlled by the BCM. 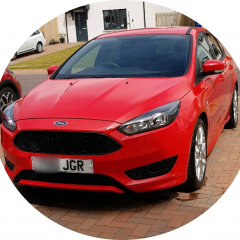 On these vehicles the Ambient Lighting functionality can easily be activated by changing the Central car Configuration. After being activated the footwell lights will work and can be switched ON/OFF from within the instrument cluster settings menu. The multi color Ambient Lights are controlled by a seperate LED controller. On the Focus MK3.5 however both the single color and multi color Ambient Lights are controlled by a seperate LED controller. Vehicles without the Ambient Lights do not have the LED controller. In most situations the footwell lights wiring is only partly present or not connected at all. After being activated the footwell lights can be switched ON/OFF from within the instrument cluster settings menu but will not work because of the missing/disconnected wiring and the missing LED controller. 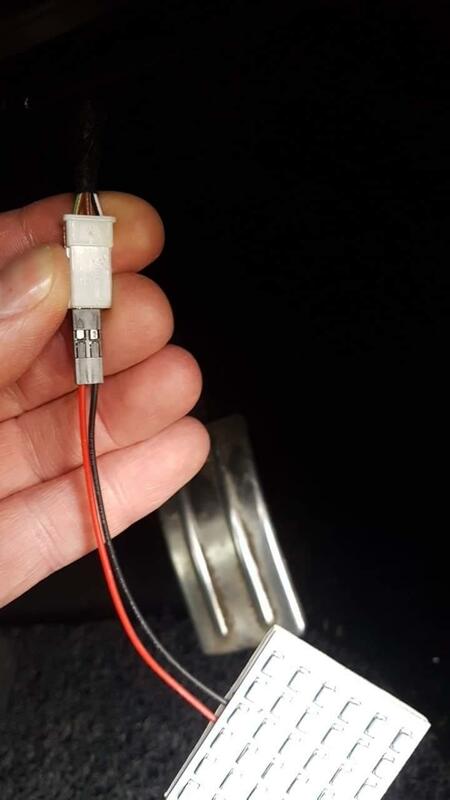 To make the footwell lights work you either have to install/connect the missing wiring and LED controller or wire the footwell lights a different way. Was reading from Here but may be different in your case. how would I wire them different? or where would I have to install the missing wiring?